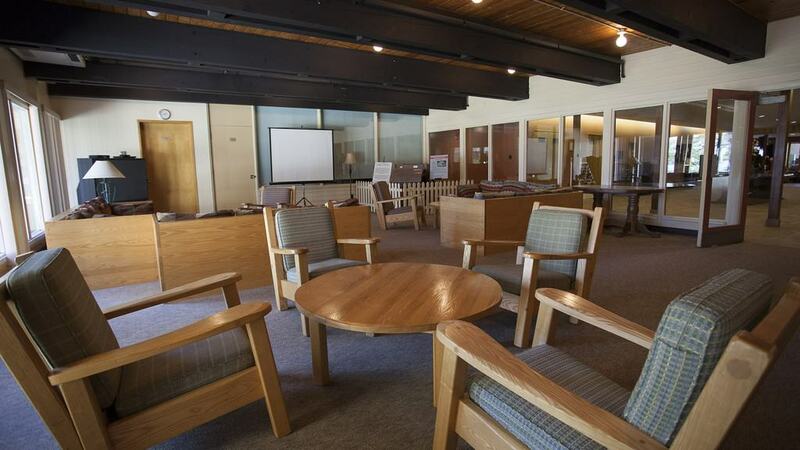 Host your next meeting or conference at Geneva Park. 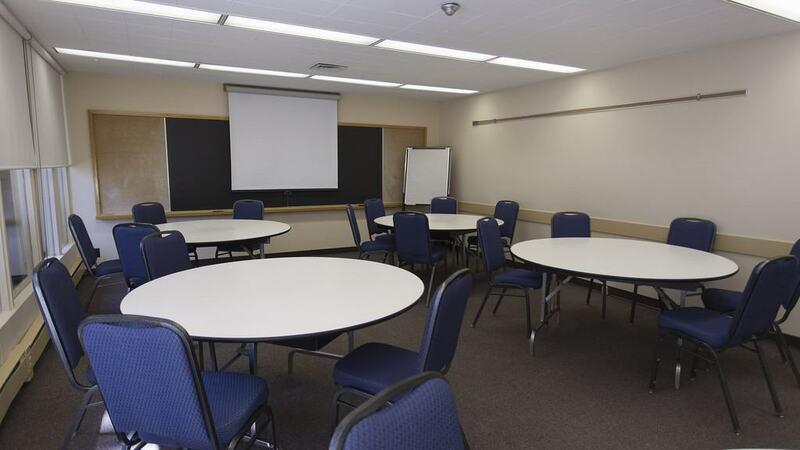 Our meeting rooms are climate controlled and equipped to meet your group’s requirements. 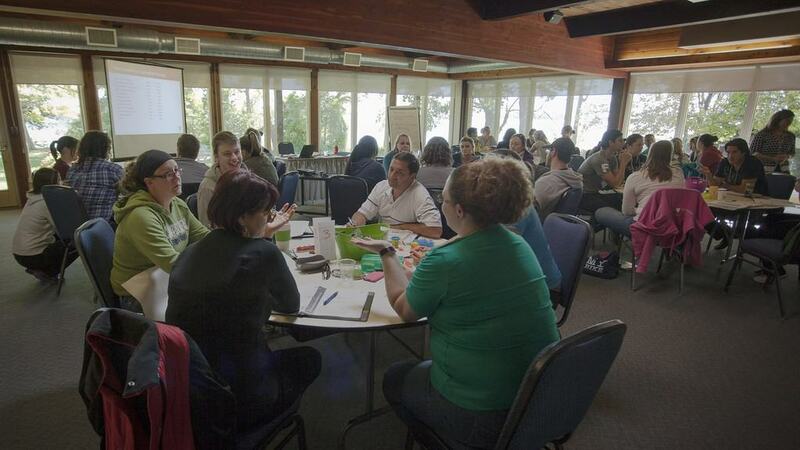 Host a formal meeting, a collaborative working session, listen to a guest speaker, or engage in planning discussion with your group, Geneva Park staff will identify the room best suited for your needs. 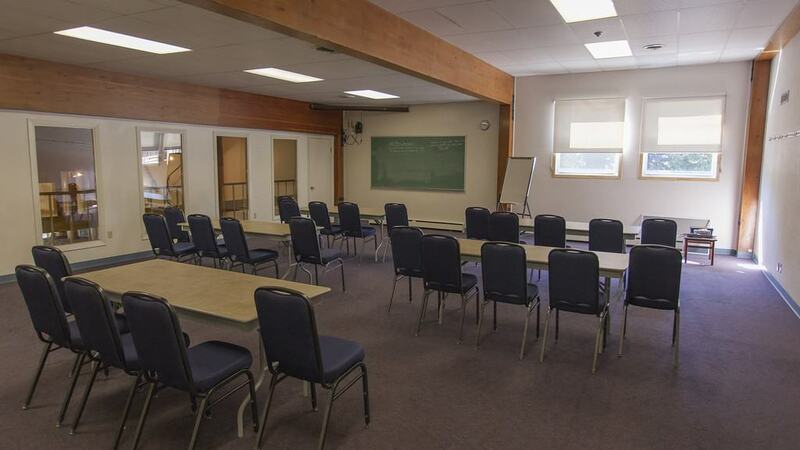 Large windows, standard a/v and support equipment, and flexibility in set up will ensure your group’s expectations are met with every visit! 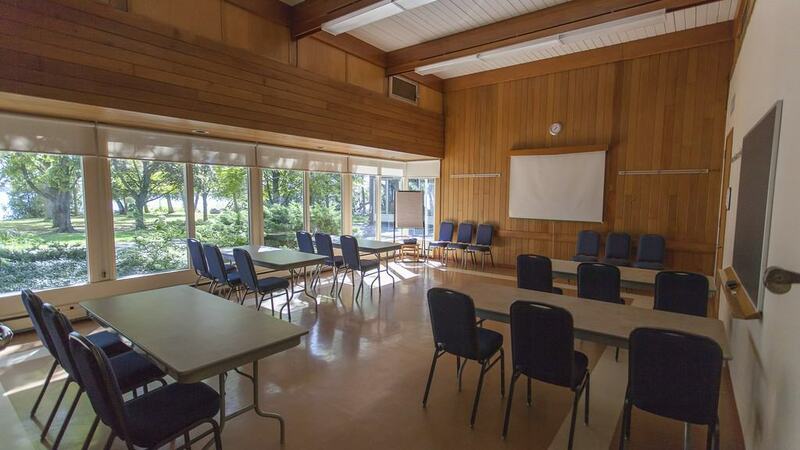 From the large auditorium with modern audio/visual, to the smaller breakout rooms, the customized layouts of Geneva Park meeting rooms can be exactly what your group needs. Available mid-June through Labour Day weekend, features natural lighting, hardwood floor, beautiful stone wood-burning fireplace, and direct access outside to open deck. This rustic room’s best feature is the view of Lake Couchiching. 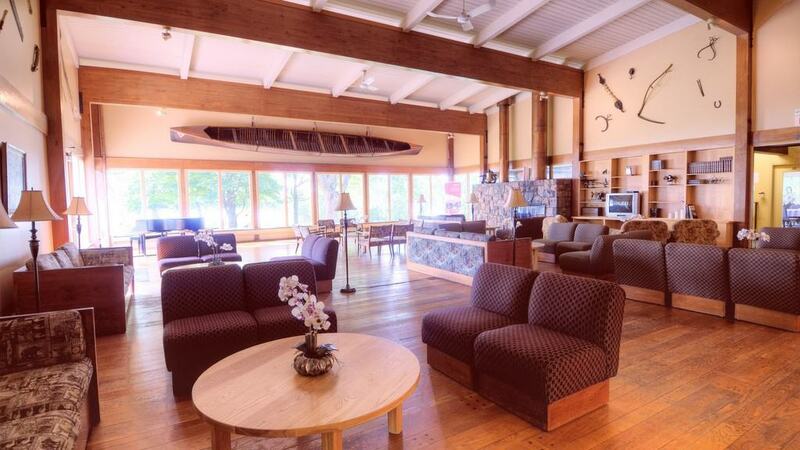 Located on the 2nd floor of Geneva Lounge, it features a full-size refrigerator, coffee service, filtered water cooler, TV with satellite, DVD player, and an open deck facing onto Lake Couchiching. Available June through September and built in 1919, the Boat House overlooks the waters of Lake Couchiching. It has the rustic charm of a causal space with screen windows and doors, and hardwood floors. Built in 1929, the gym offers hardwood floors and vaulted ceilings with the equipment you need for a physical activity with your group. Equipment is available for basketball, floor hockey, volleyball and badminton. A standalone building on the water’s edge, built in 1922, it is the site of the original auditorium for YMCA Geneva Park. It has hardwood floors, wood walls and a vaulted ceiling with rafters. It seats about 100 people in rounds. This location is typically available June through September with wide screen windows that open onto Lake Couchiching.